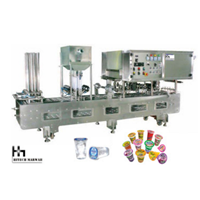 Filling Cup Sealer MachineFilling Machine Cup Sealer is a filling machine used to fill fluid into the cup packaging as well mengeseal cup. 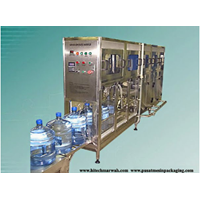 available capacity ranging from 4000-20000 cup / hour. full stainless body 304. 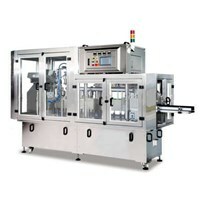 Using a pneumatic system.Cup Auto Filling Machine is a machine to put into CUP Cup MOLD then took him to a charging point, filled with product, then closed with a LID (Plastic sheets are packaged in rolls) and cut LID.All this work is done Automatic except put into the basket CUP CUP and enter into a Supply LID LID.The engine speed is determined by the amount of pocket holes. 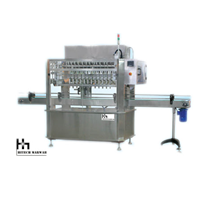 Bottle filling machineBottle filling machine is a filling machine used to fill liquids into bottles with manual systems, semi-automatic and full automatic.Bottle filling machines full automatic system using inline or Rottary, ranging from filling bottles at the nozzle automatically mounting the bottle cap (capper) automatically, and sealing the bottle (shrink with heater)all this work is done automatic except put the bottle into the conveyor, and a plastic insert for label or seal into bottles.There are various types of charging:inline: 4 nozzles, nozzle 6, 8 nozzle, nozzle 10 and 12 nozzles. Buat Permintaan Untuk "Mesin Filling"